Does Mac user need a VPN? You may think that you don’t need a VPN to protect it because you own a stable operating system. This opinion is not completely right. You still need a VPN for Mac. Though it is once considered as the safest operating system, few security vulnerabilities of Mac have been found in recent years. Ransomware, Trojan, Worm, rogue software and other threat have been rampant and aggressive, attacking both Windows and Mac users. Some viruses only target on Mac and steal information. If you always share important information with your business partner via the Internet, a VPN for your Mac is very necessary. It will prevent cyber criminals from hijacking your communication. Besides, users in China and other regions where many websites have been blocked due to national security reasons need VPNs for Mac to view websites that they look forward to. For example, it can help you bypass the Great Firewall of China. It unblocks geographically restricted content on Netflix, Hulu, BBC iPlayer, HBO, Pandora, Amazon Video, CBS, HBO, ABC, YouTube, Facebook, Twitter and many more other services. You can enjoy the fast and secure network connection from any corner of the world. How to choose a proper VPN service for Mac? A large number of VPN services have been developed to meet people’s needs in those years. Various VPNs appear in the market. You may be confused, wondering which one you should pick up. There are too many choice for Mac users. It is very important for you choose a right VPN service. Though some of VPNs are very powerful and expensive, they may not work for your device or meet your needs. For example, you are looking for a VPN to help you access Facebook in China, you choose an expensive one with high reputation. However, its significant function is data encryption. Also, it is not good at overcoming the Great Firewall. In this case, it is not worth it. Besides, it will cause fatal error and problem if the VPN is incompatible with your Mac. You will have Blue Screen of Death or system crash when using the wrong or unstable VPN service.Hence, you should put all things into consideration before you choose a VPN service for your Mac. In a word, a VPN is necessary for Mac and it also is important to select the right one. VPN services protect your from password sniffing, session hijack, ISP espionage, Network hotspot virus infection. You can have a remote meetings with your stuff, upload or download resource anytime when you are on a trip.You can check your email and bank balance when connecting your Mac to the public WiFi. There is no need to worry about interception or hack at all. Do you want a stable and amazing browsing experience on every website without restrictions? Pick a VPN for your Mac. The IP that VPN services offer will allow you to visit websites freely and safely. Your identify will be protected well. Don’t hesitate. Get a VPN for your Mac now. In order to avoid losing money for useless VPN, keep in mind what you need and what is suitable for your Mac when you select one. 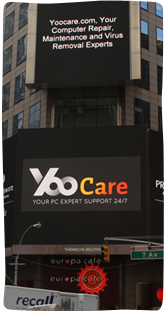 If you are not sure about it, contact a computer expert for help.